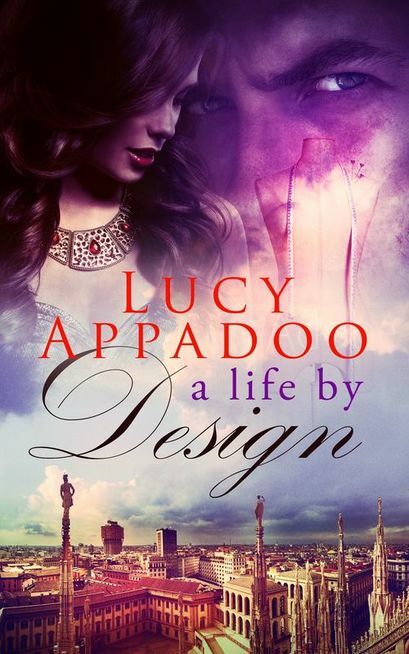 In A Life by Design, Elena faces escalating danger to herself and to Francesco, she must fight for her freedom, her love, and her survival. Elena has led the life of a typical Italian young woman (and I am sure many European girls), where life is dictated by her Father and she is not allowed the same freedoms as her brother and the other males in her life. She has big dreams of conquering the fashion world but will never be able to realize this dream unless she leaves her small town and head to Milan. Through some help from her brother and Mother, she convinces her Father to let her head to Milan to study fashion. She is in awe of the big city, the clothes and her studies – she has found her niche and can’t wait to begin her life. She even finds love in her boss, Francesco! How could anything go wrong? All seems to be going well until someone starts threatening her and stalking her. This is when the book takes a turn and you are left constantly wondering who is threatening her? Is it the rejected boy from her class? Could her love actually have a darker past? Or is it someone from her families past? This was a well written novel that I loved from start to finish. You couldn’t help but fall in love with Elena and her positive outlook on life. She is a dreamer who has the typical constraints on her of an Italian family. You want to protect her and feel outrage that someone could be trying to harm for what seems to be her following her dreams. The stalker throws a wrench in the story as you really aren’t sure who is the suspect. Your first thought is always to the young man in her class who she rejected but it doesn’t quite sit well. Lucy leaves you guessing and questioning even yourself. This was a wonderful journey to Milan where we are immersed in Italian culture, fashion and love. A great read from start to finish! You can purchase a copy of this book on Amazon, Kobo, iTunes and Barnes & Noble. What a great cover incorporating a lot. Thank you for your review – looks interesting!